Home > The 1980s > What is Ambient Music? The first question of course is what exactly is ambient music? Although to some, like musical explorer Brian Eno (who’s released a number of ambient albums and originally coined the term ambient), it should blend into its everyday surroundings, in real terms it’s proved to generally be gentle music, often without rhythm, that was used at parties and raves, often in a separate “chill-out” room for those coming down from drugs or simply in need of a break from dancing. From there it went on to become a genre of its own, with its big names, and along the way, like most musical styles, it split into a number of sub-genres, such as isolationist, and dark ambient, often characterised by some minimal differences. 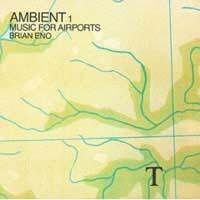 Eno hardly invented the ambient style. Atmospheric music existed long before, and 1970s albums by Tangerine Dream (as well as the very early releases of Kraftwerk) could be called ambient. It was all floating music, not anchored by percussion or rhythmic instruments – very cerebral sounds. With the rise of dance culture, artists like the Aphex Twin (actually just one person, Richard James) and The Orb began making music aimed at the chill-out room. While the creations of the Aphex Twin were very amorphous pieces, the Orb’s work, such as Little Fluffy Clouds and Blue Room had more structure to them, and when commercially released actually made the charts, sparking the ambient house style. Ambient music became one of the fastest growing genres at the beginning of the 1990s, as Enigma scored big hits with pieces like the single Sade. Both the KLF (who dabbled in all areas of the new electronic music style) and the Orb put out ambient albums that sold well. Ambient music really came of age around 1992, as the Aphex Twin, the Orb, Pete Namlook, Moby and Future Sound of London (FSOL) began expanding the possibilities of the style. In many ways ambient grew into something that was actually far from ambient. You could have it as background music, but more and more it became a proper listening experience that demanded attention and at times took on quite grand proportions. From being an outsider, even in the expanding dance genre, ambient music found its way into the mainstream quite quickly. However, by the nature of not being locked into rhythm, it offered great scope for sonic experimentation, whether it be with drones, founds sounds, the manipulation of instruments or almost anything. The range ran anywhere from the shadowy Goth feel of dark ambient to the hermetic feel of isolationist. Although the possibilities of ambient music are theoretically endless, interest in the music began to fade in 1996 as those who’d produced it began to investigate other areas, and few came in to replace them, quite notably not bringing the same sense of intelligence and creativity to the music. To all intents and purposes, it’s now become part of New Age music, an unobtrusive soundtrack for dinner parties or adding atmosphere to films and television shows.